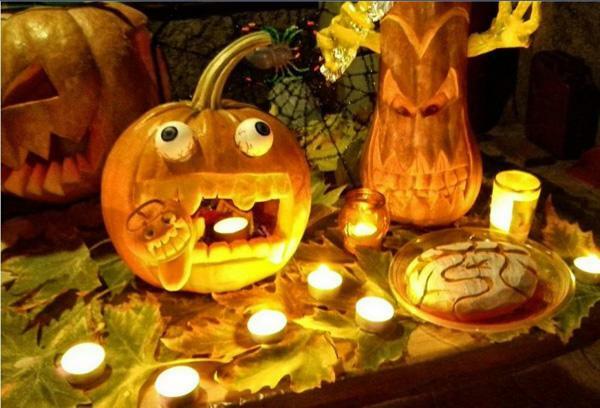 Are you trying to organise a Halloween party? 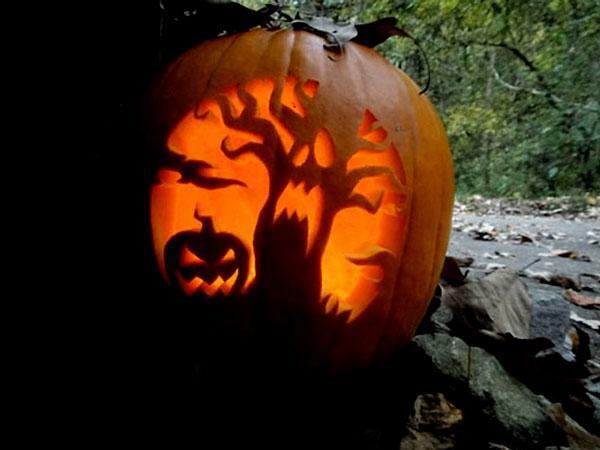 Or maybe you went camping, you decided to spend the night telling ghost stories and now you need something to create a scary atmosphere. 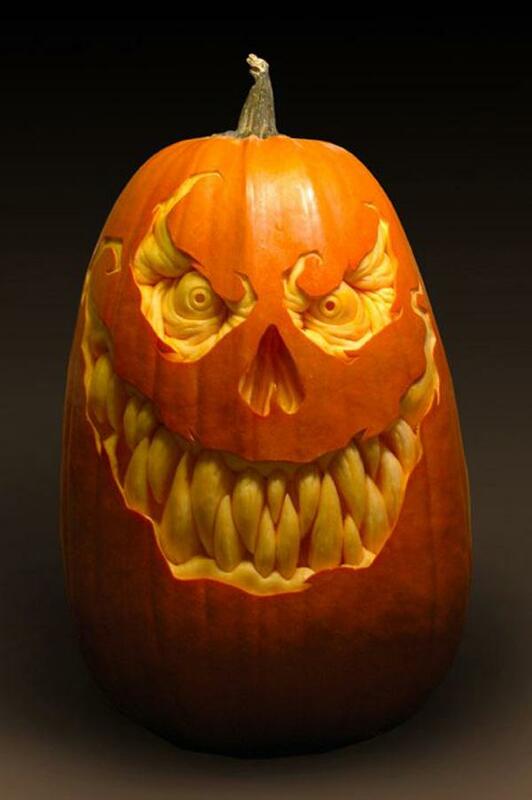 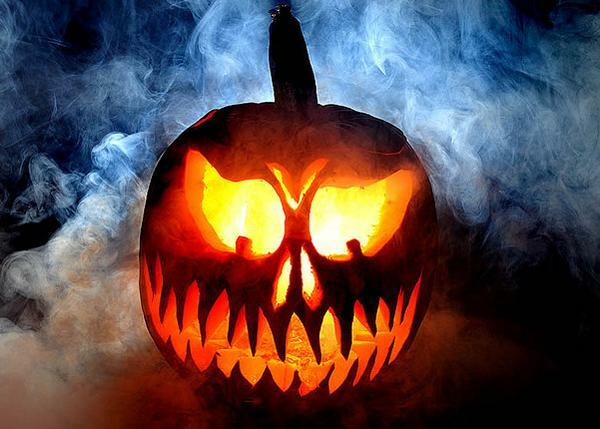 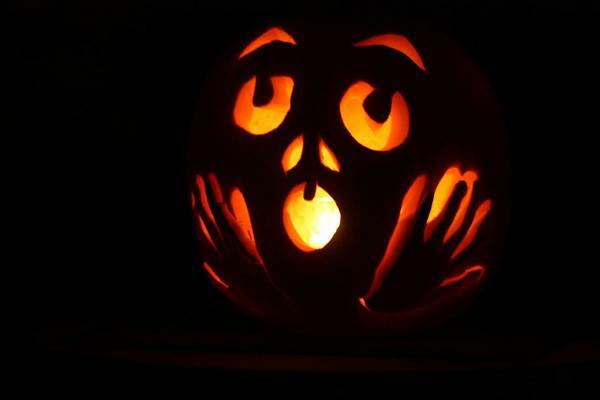 If you are thinking about doing something scary, it doesn’t matter where you are or what you are planning to do: you can never go wrong with a carved pumpkin. 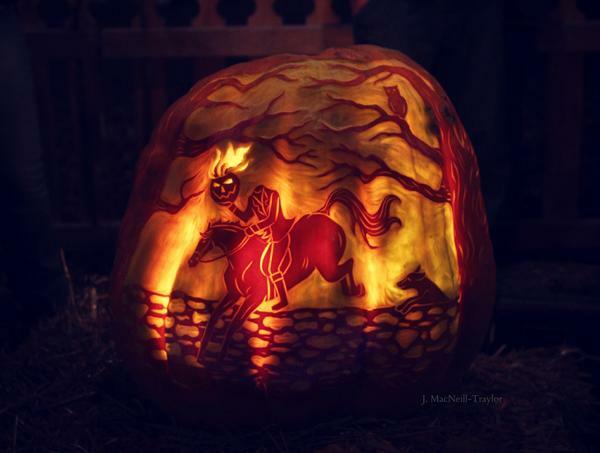 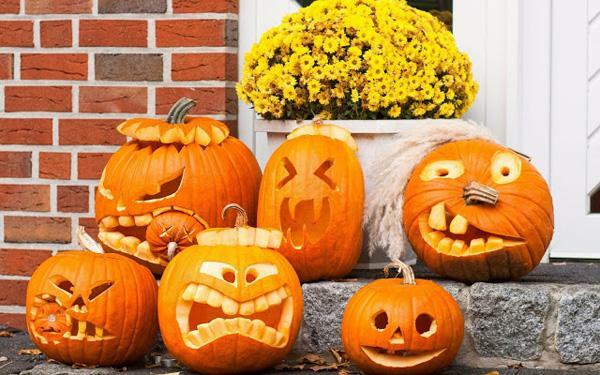 All you need is a little patience, a touch of imagination and a few drops of training, and you’ll have the perfect recipe for the most spectacular pumpkin carving ideas. 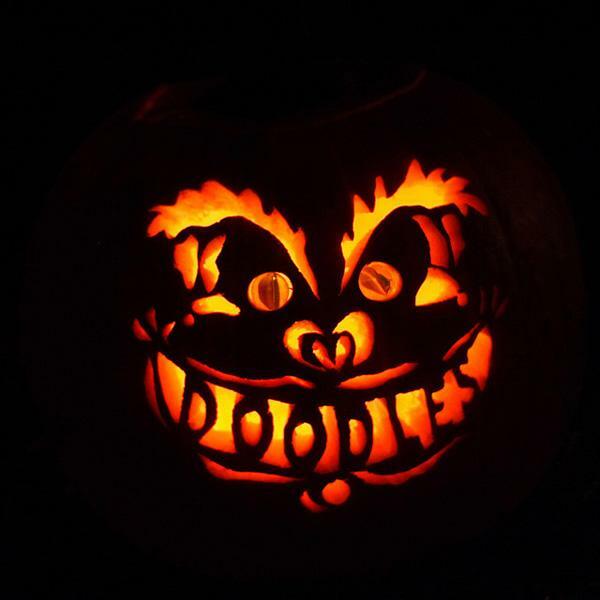 Start drawing on a piece of paper what you want to do. 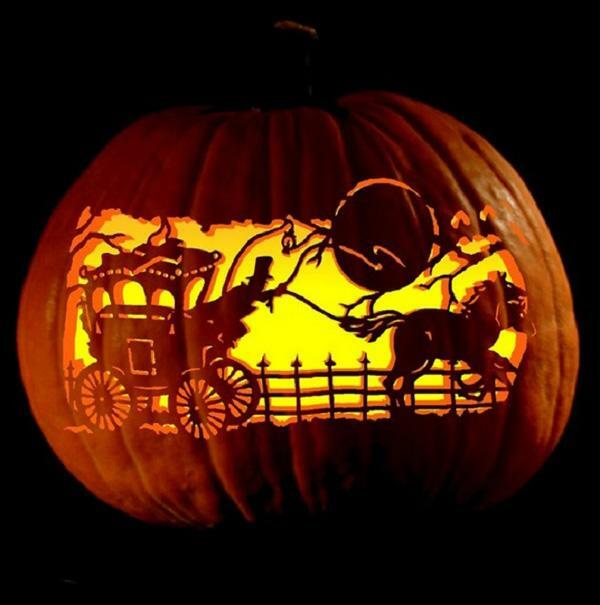 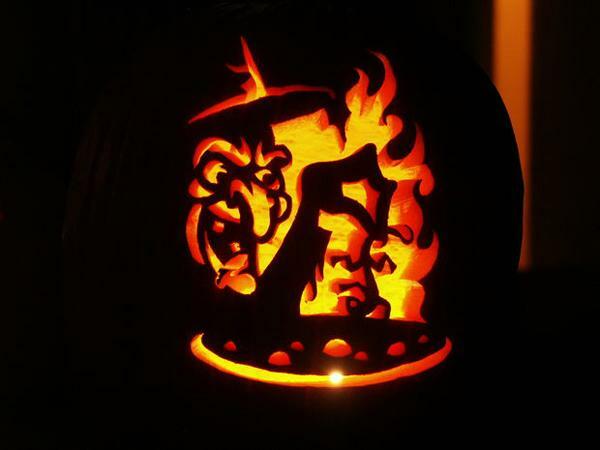 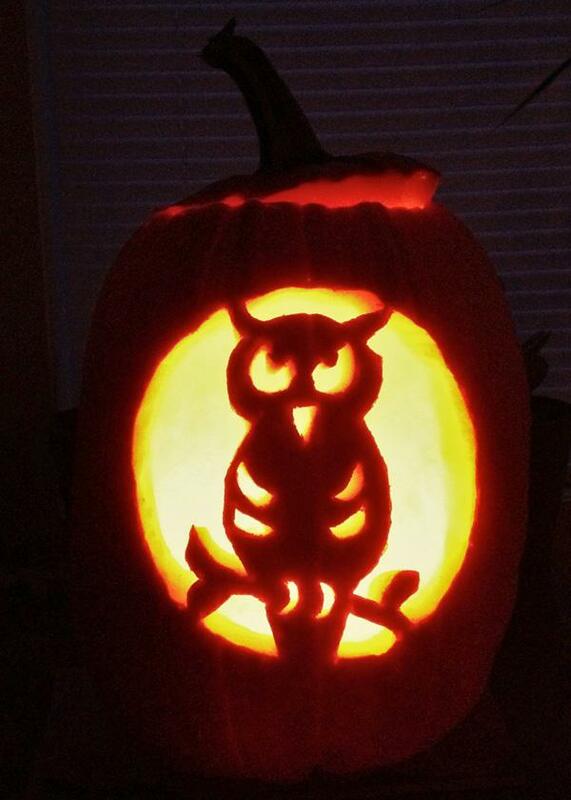 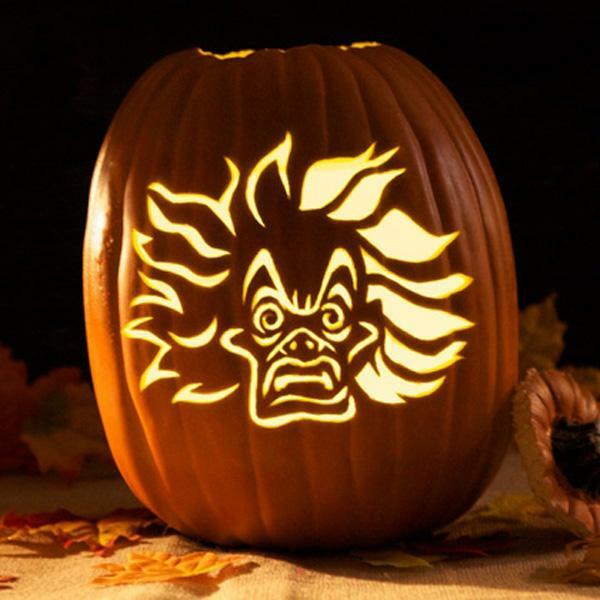 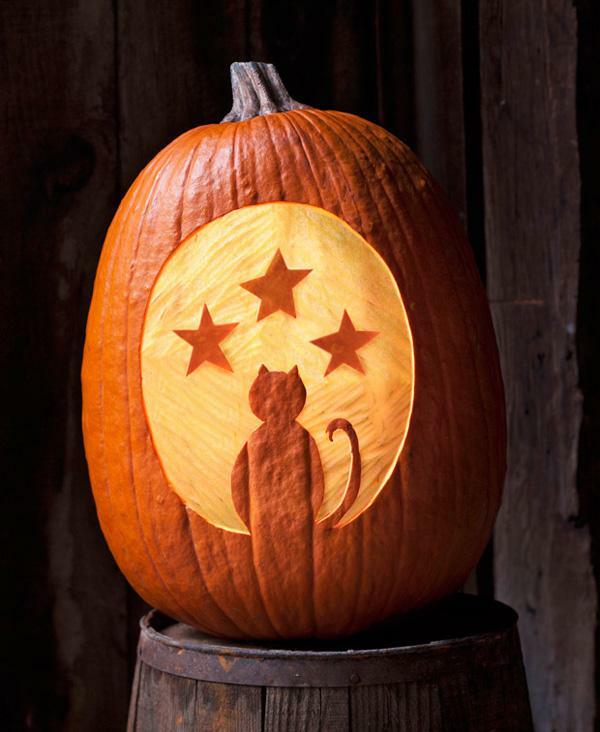 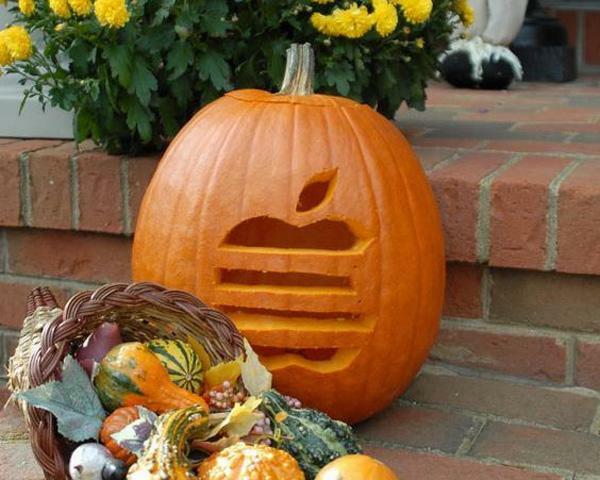 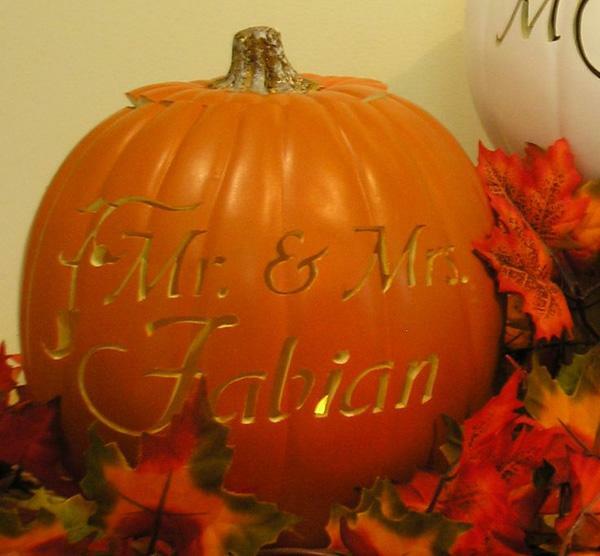 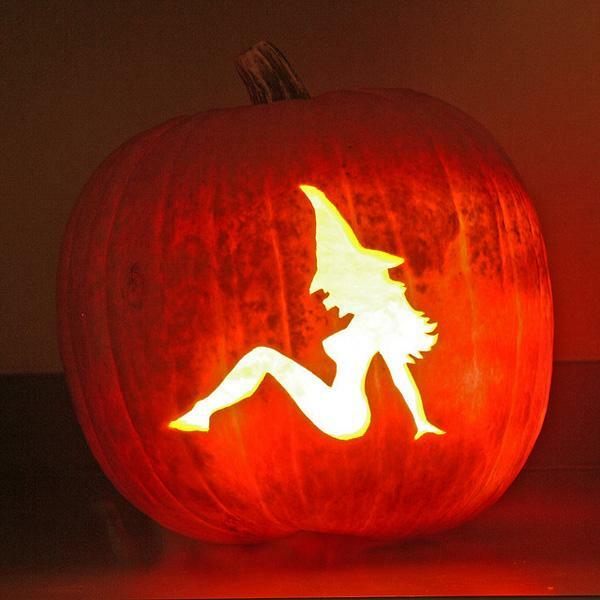 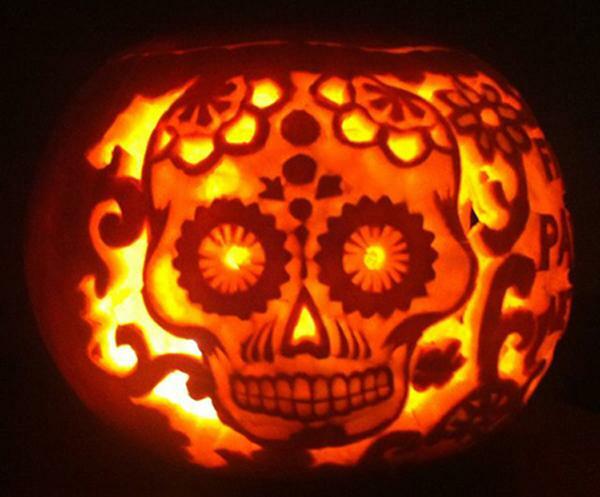 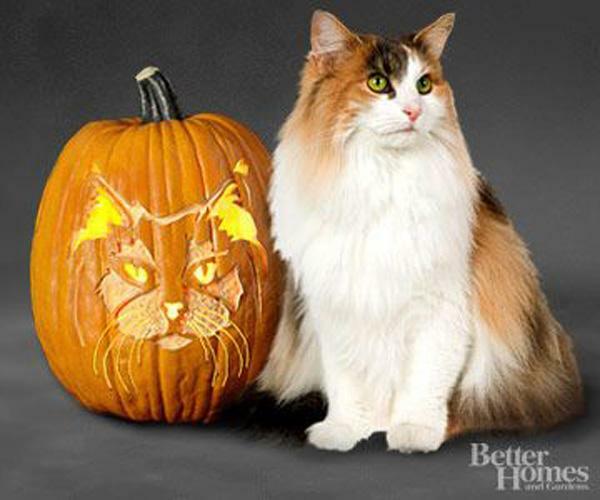 Once you’ve done that, transfer the design directly on the pumpkin… and start working on it! 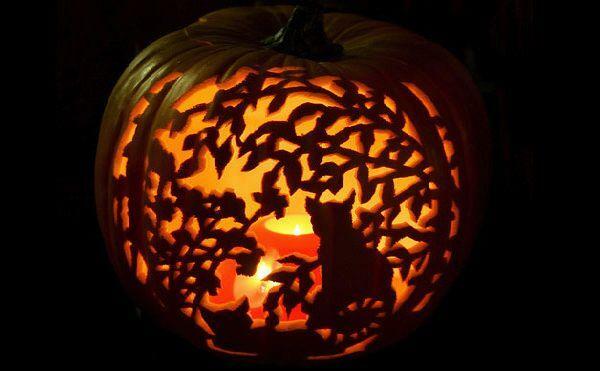 Start carving following the lines you drew, using a sharp knife and let your imagination do the rest. 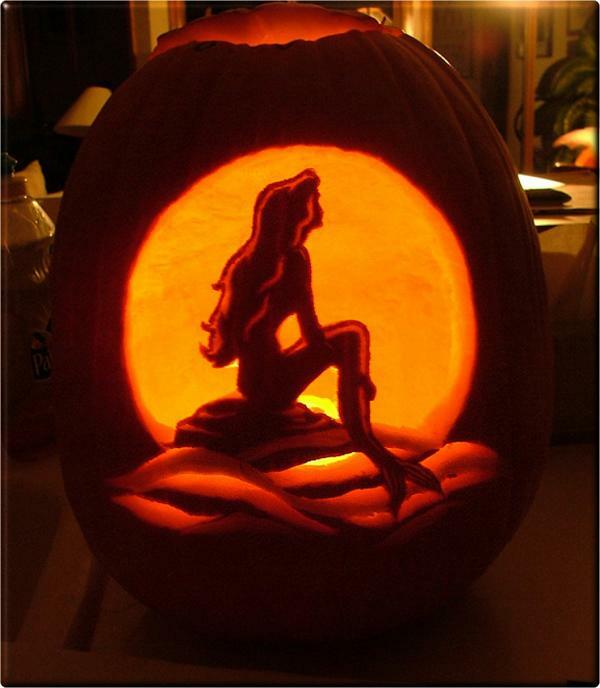 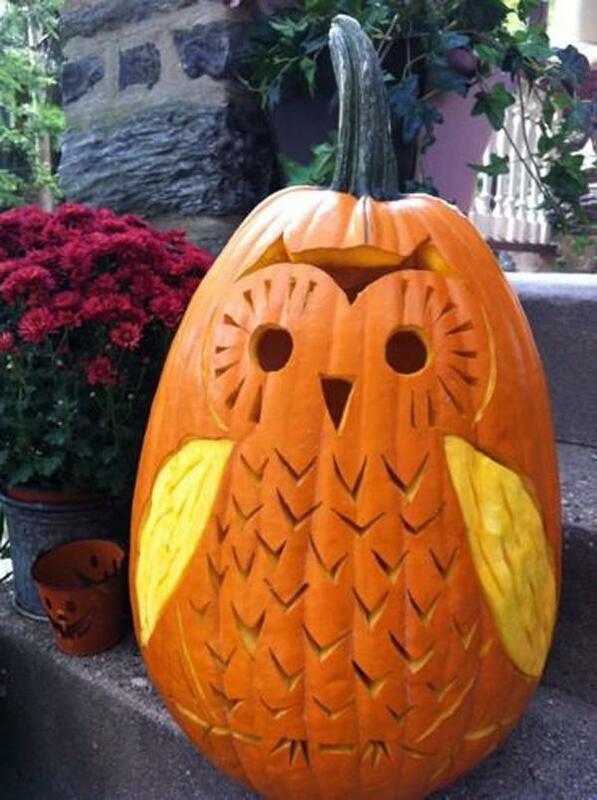 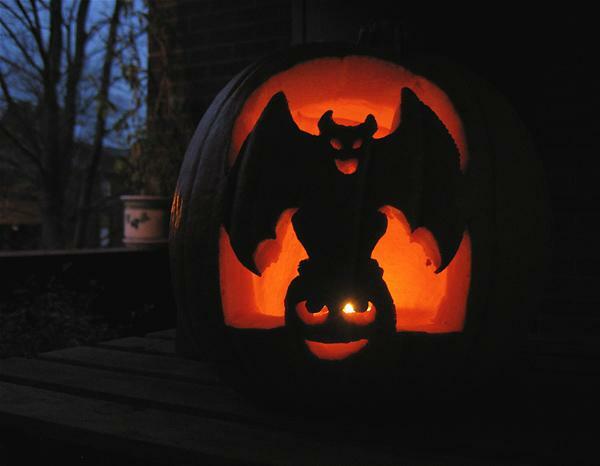 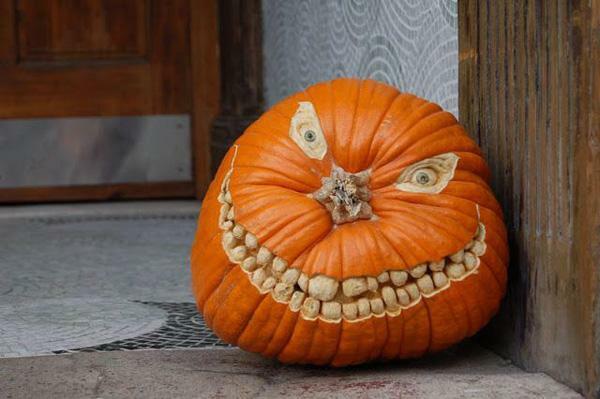 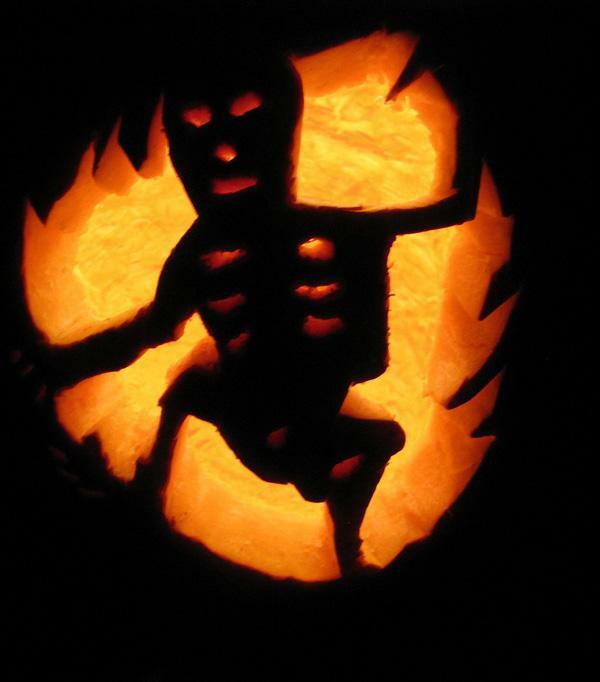 To be honest, carved pumpkins don’t necessarily have to be scary, they can just be beautiful, elegant, a piece of art. 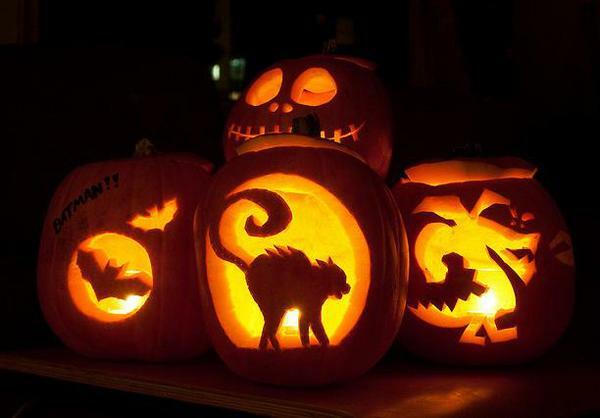 You can do so much with them! 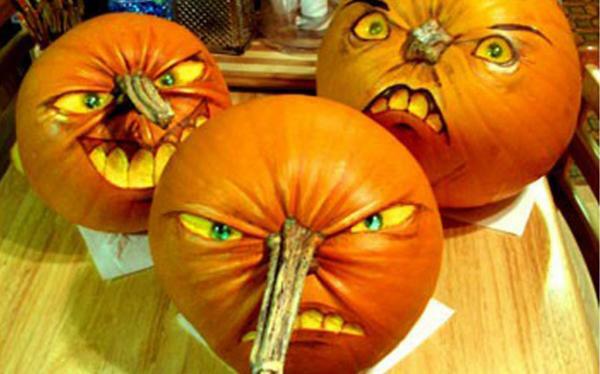 For instance, get inspired by the picture of well-known personalities. 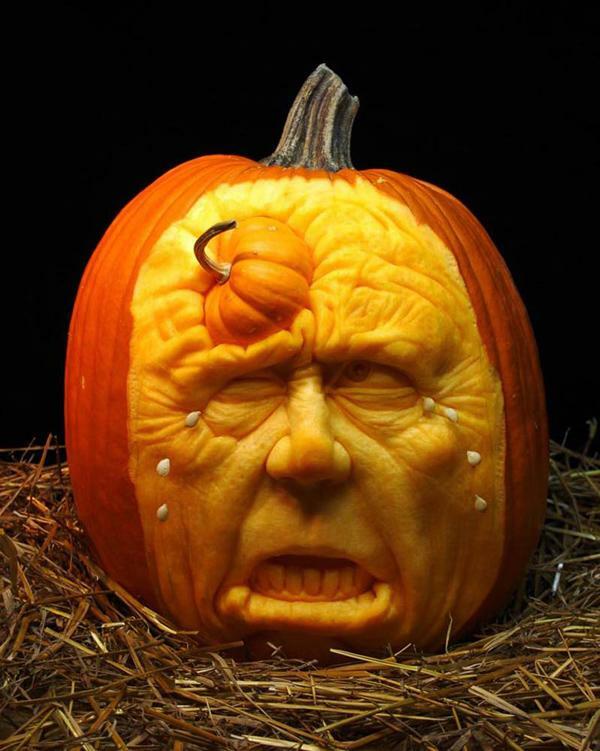 What about the face of a pop singer or an actor? 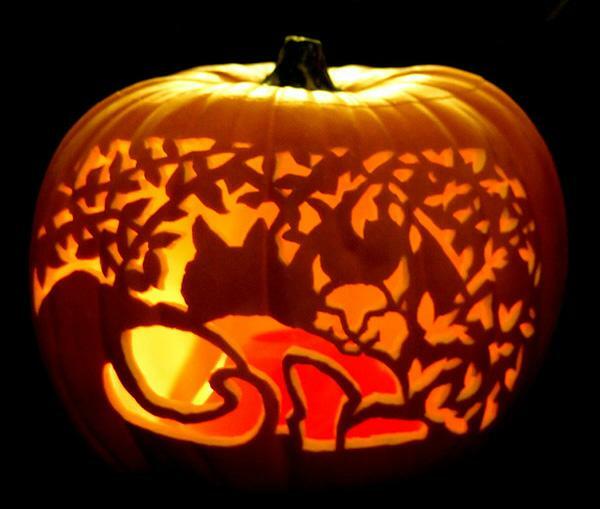 The silhouette of a famous character or the shape of an animal? 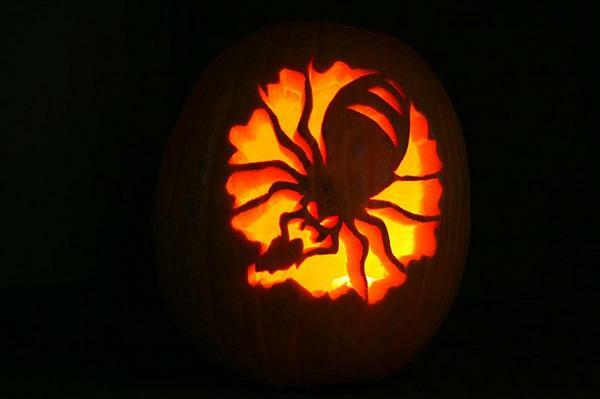 Otherwise, you can also carve a giant spider web, adding a series of plastic spiders to make the ensemble even creepier. 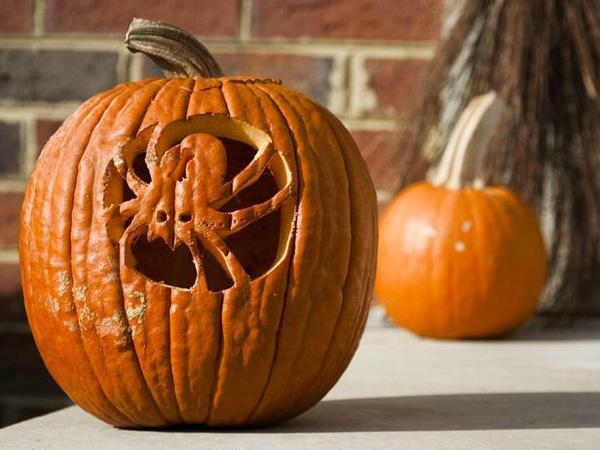 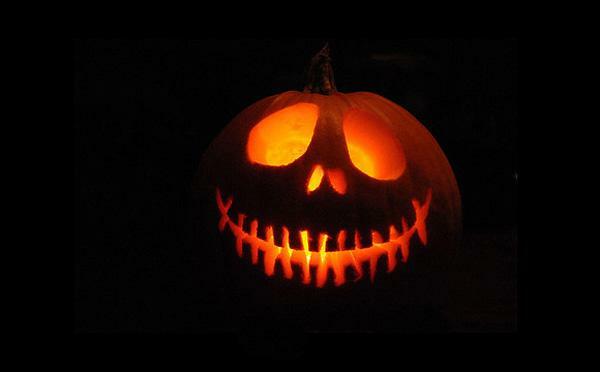 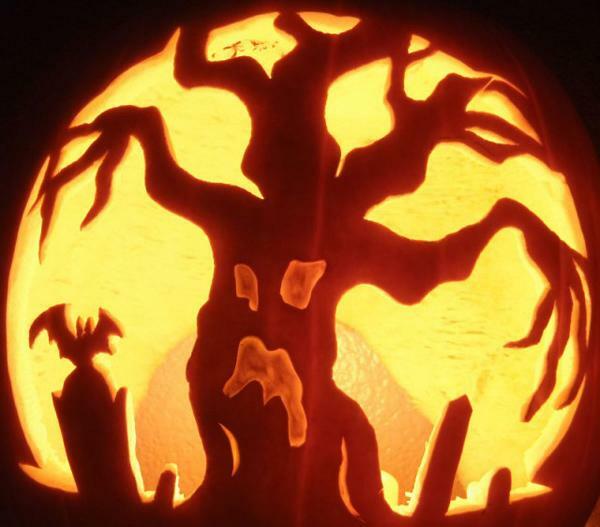 You just have to remember that the pumpkin is made of organic material… in other words, it will rot. 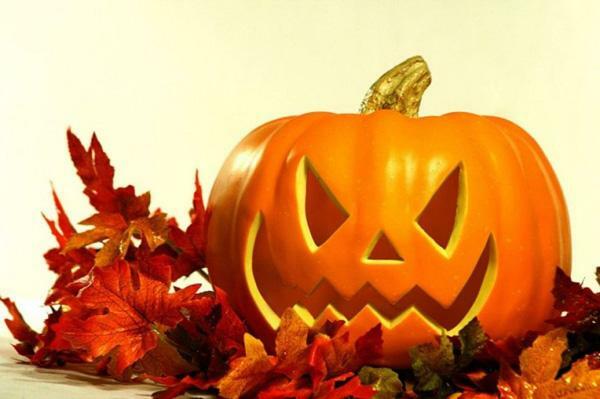 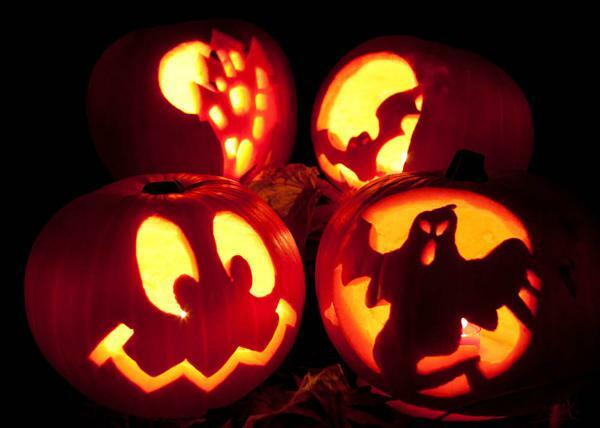 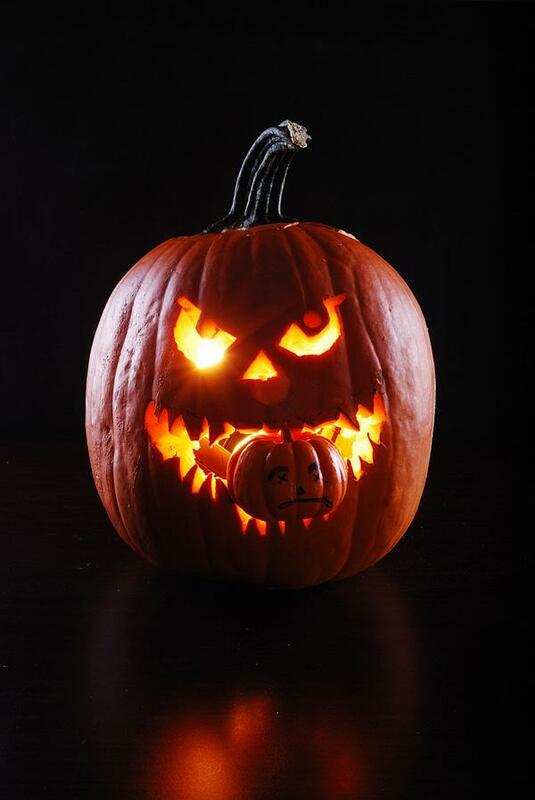 Therefore, it is quite important to choose the right pumpkin, neither overripe nor damaged. 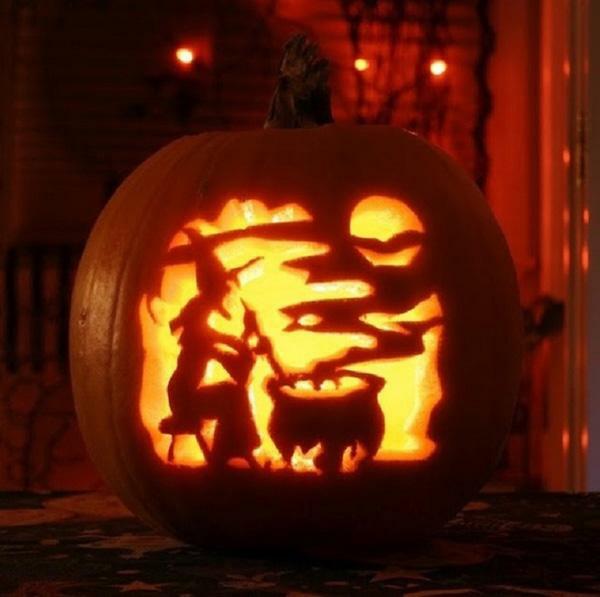 Also, don’t forget to create a little hole for the heat and the smoke coming from the candle, if you you are gonna add a tea-light to the mix. 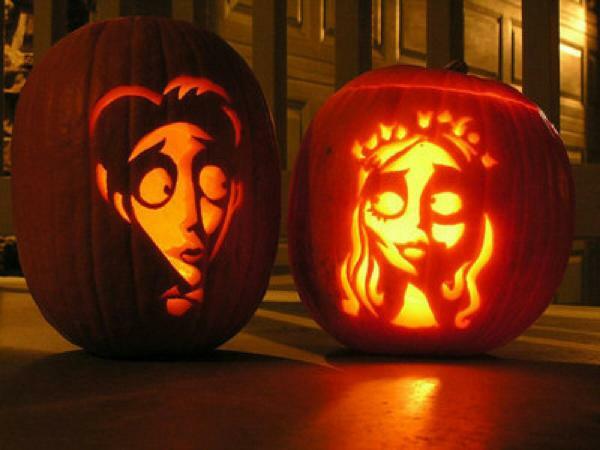 You can also take into consideration pumpkin carving ideas that use the green part of the pumpkin as a central part of the design. 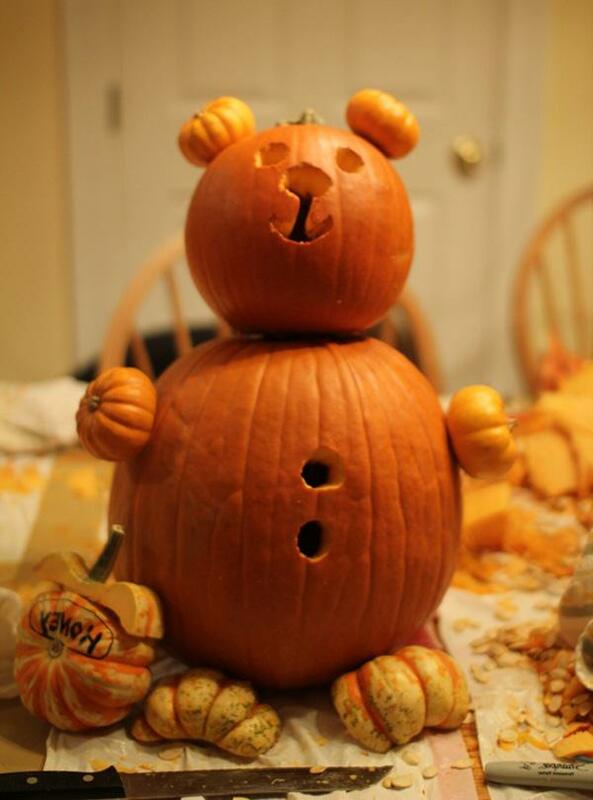 Do you think you could use it as a nose? 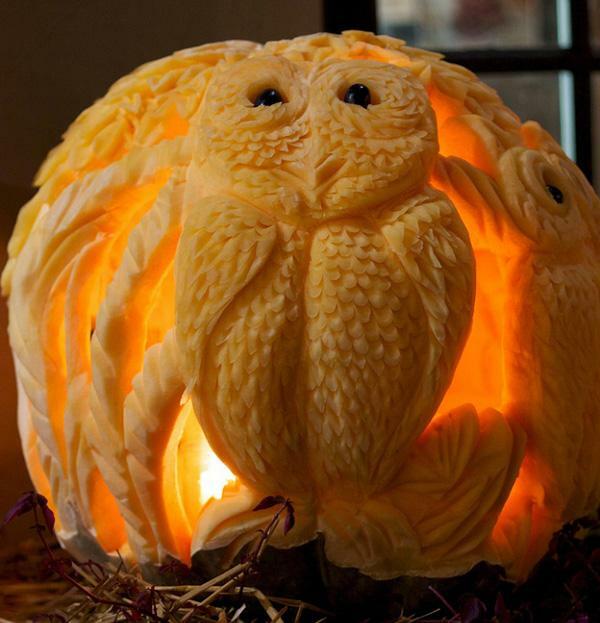 And what about the seeds of the pumpkin? 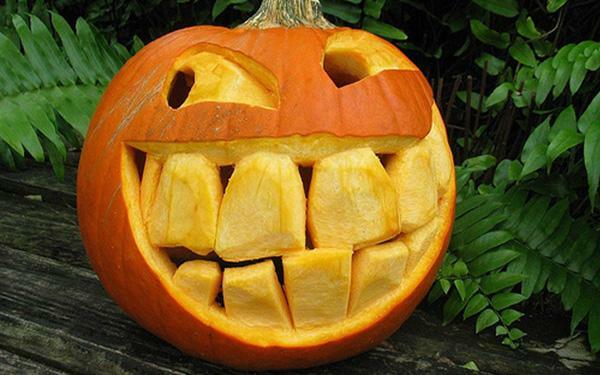 Can you think about a cool way to use those too? 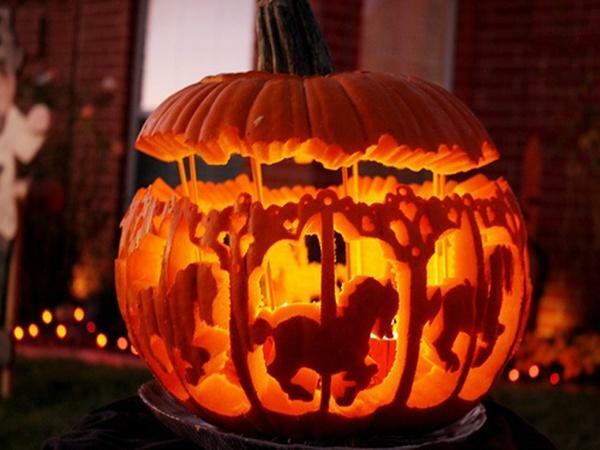 The point is: think outside of the box and you’ll be able to create something very special. 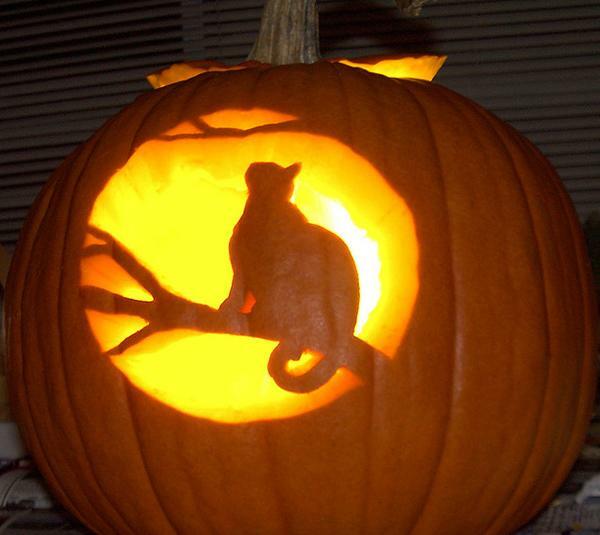 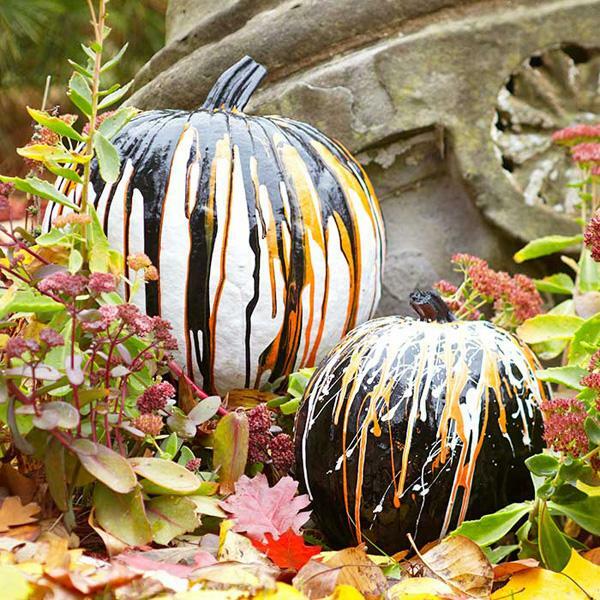 Talking about original thinking, have you ever thought about painting the pumpkin you are carving? 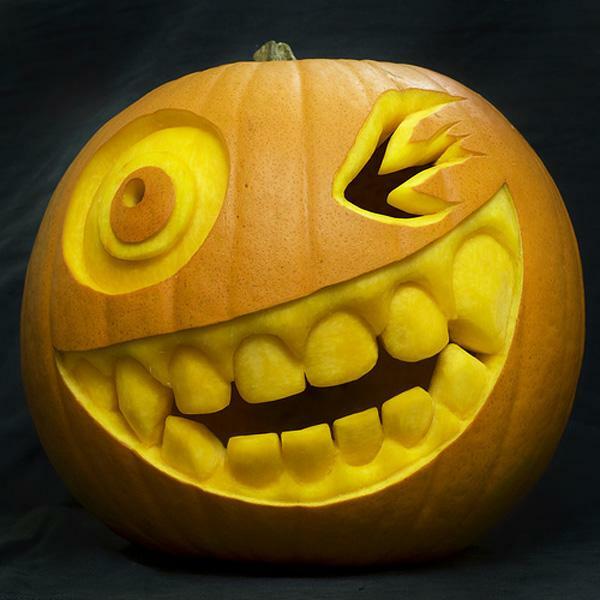 You could create a scary, screaming mouth with sharp teeth and then use a touch of white paint to make them white and creepy. 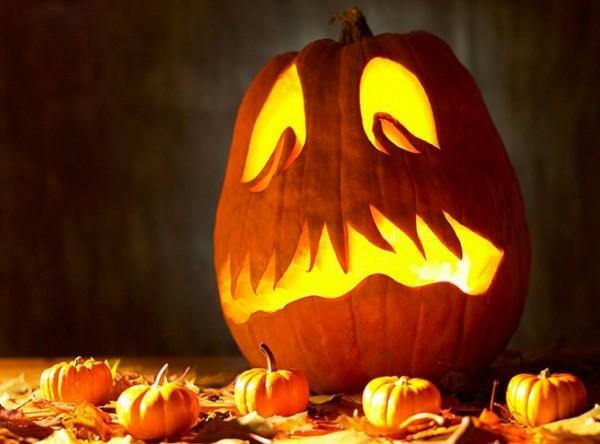 You can use the same trick if you are carving the eyes of a monster, if you are drawing the shape of a ghost and much more. 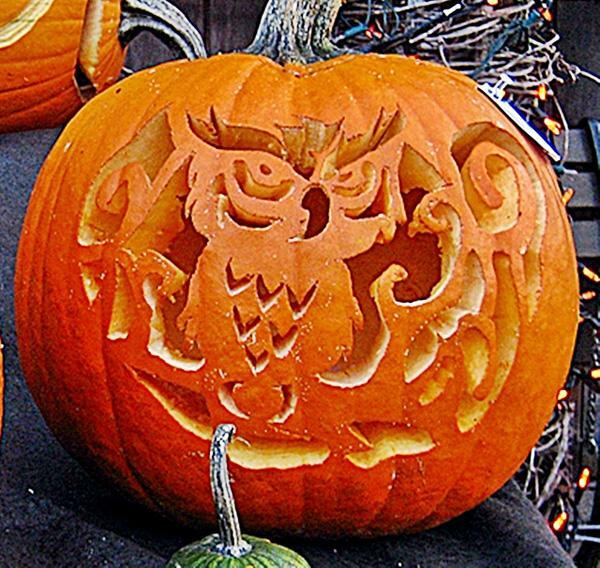 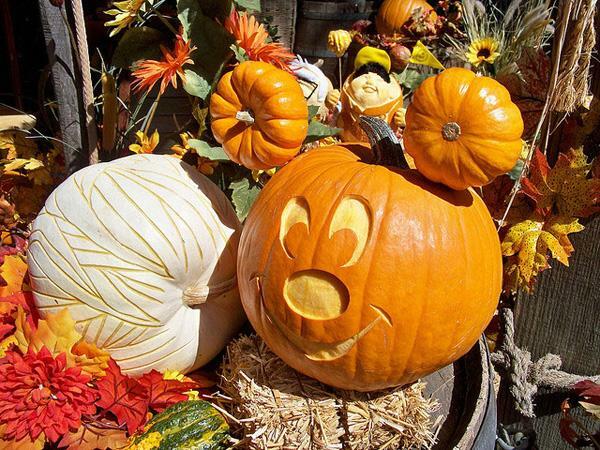 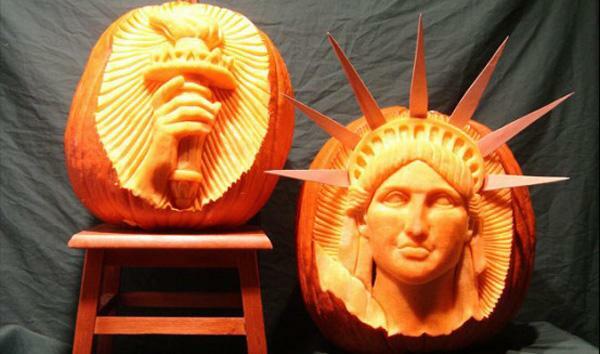 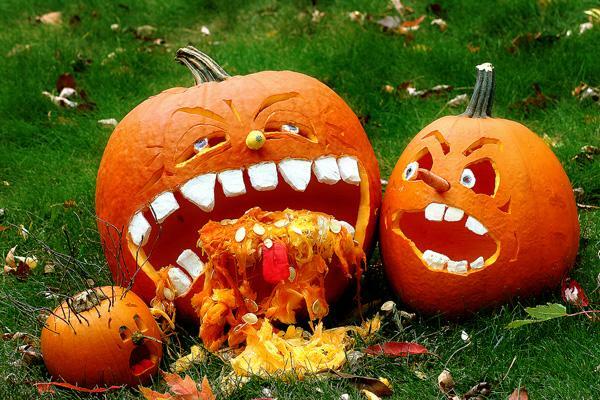 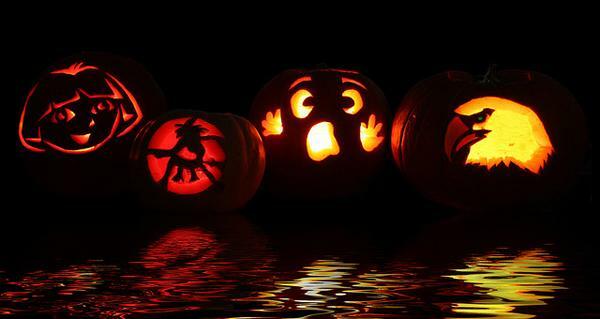 Plus, there are many pumpkin carving ideas that push you to play with more than one pumpkin. 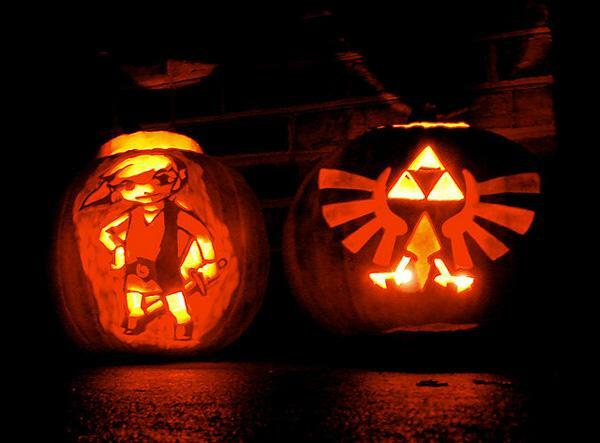 If you think about it, you can combine pumpkins of different dimensions, making them part of the same composition. 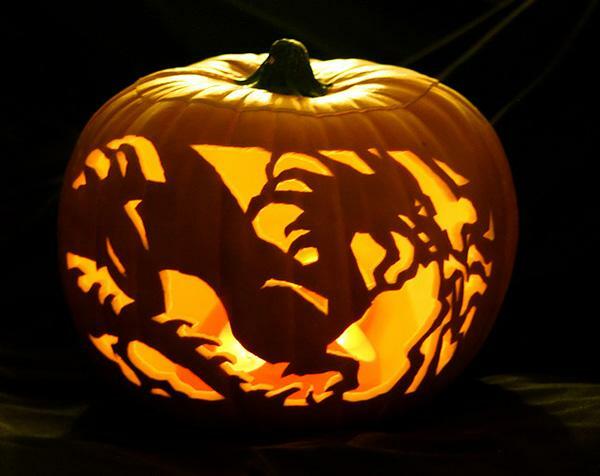 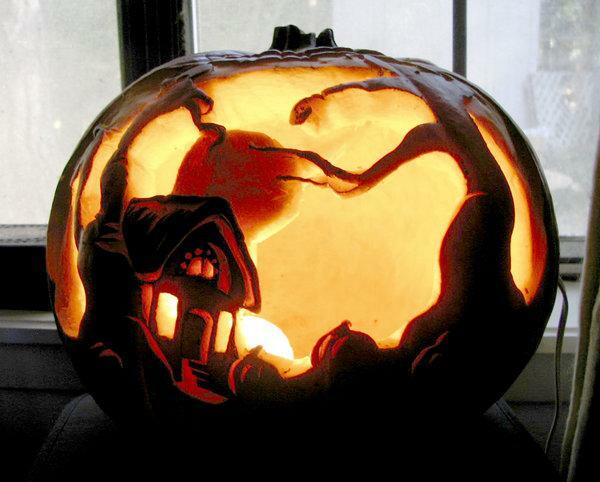 For instance, you could place a small carved pumpkin inside a big one… it’ll look like a big monster ate a small one! 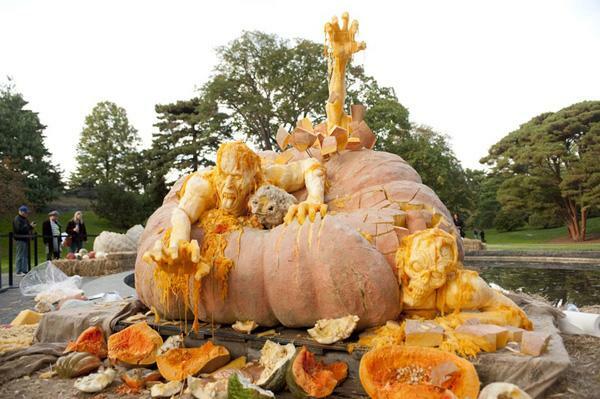 Or you could make an entire field of pumpkins, transforming your backyard into the scariest place on Earth. 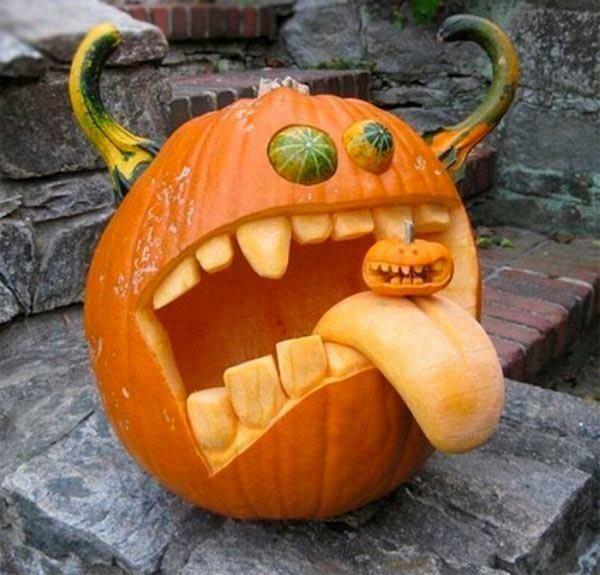 Plan carefully and have fun, there are no limits to what you can do.